Wow. We were really ambitious at the start of this school year. We decided to start not one, but two alternative education programs, beginning with the kindergartens, and plan to move both programs into the first grade level next school year. It may seem like a lot to handle in one year, and make no mistake, it is! But we have been so blessed by the right people at the helm, by God sending us amazing teachers and administrators, that we’re able to stand back in wonder, amazed—and grateful—at how these programs and kids are flourishing! Of course, we still have our established kindergarten classrooms at South Side and Rose Park, with our well-loved and experienced teachers there. 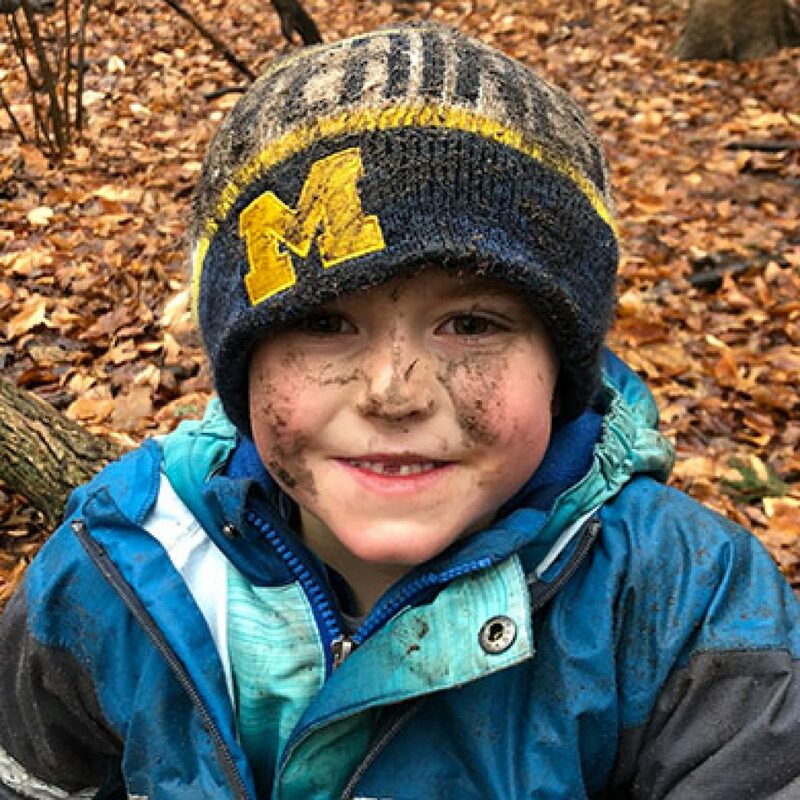 But for those kids who may thrive better in an outdoor setting, or for those families who want to open bilingual doors for their kids, we’re excited to also be able to offer HC Forest School through South Side, and Spanish Immersion through Rose Park on Holland’s north side. 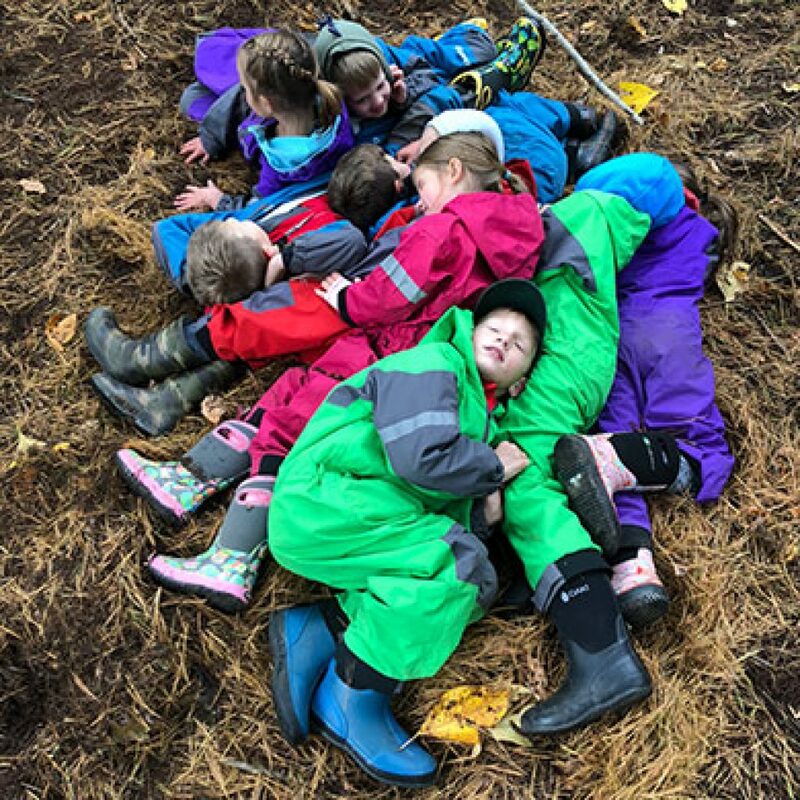 The biggest question with the Forest School kindergarten, let’s be honest, is whether those kids are actually learning anything? Or just enjoying outdoor recess all the time? The short answer is yes. And mostly yes. But here’s the long answer for proof: They begin each school day in their brick and mortar classroom for 1-2 hours, where they do much of their direct reading, writing, and math focusing. 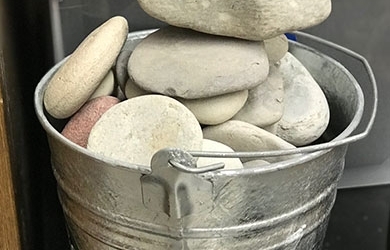 They’re counting out stacks of smooth river stones in groups of five, hiding them under their legs to subtract, figuring the remainders in their heads. Adding their stacks to those of their friends’. Drilling those “tricky teens” numbers. They’re practicing sounds and reading short stories out loud in small groups with their teachers, stories often written either by the students orally, or by their teachers specifically for them. They’re sounding out their spelling, zeroing in on penmanship, drawing pictures to go with the story of the day. Fine motor [skills] happen naturally through a stronger core, which they’re getting through jumping off stumps in the forest. And their focus while in this more traditionally academic setting is really quite amazing. As they rotate from one station to the next they’re reminded by Mr. Harig to be quiet, because they’re “practicing their forest walking” so they can see animals. And you could almost hear a pin drop. And when it’s time to go outside? They all put on their own gear, from boots, coats, mittens, to the colorful Oaki suits that keep them warm and dry(ish) throughout the seasons. After literally zero whining for help, they line themselves up, then head outside for a true recess in their forest behind HCMS. They scatter and climb strategically placed logs, swing from tree vines, avoid playgrounds because “Forest kids don’t play on playgrounds.” They make tools from sticks, shelters in trees, nap puppy style on the ground, and when they get to travel to their special forest two days a week, play in the creek that flows past their designated area—at least until it snowed. But after “recess” is over, they’re meeting with Mr. Harig or Ms. Bosch one-on-one to practice their reading, propped comfortably against a tree. They learn about story patterns and create oral stories on their circle stumps together, about each other, and then practice telling each other their stories in pairs. After Mr. Harig types them up, they read them aloud together in the classroom throughout the week. They write Psalms of praise with Mr. Harig, who puts them to music, and then they practice singing them out in the middle of the woods, thanking Jesus for stink bugs and butterflies, for saving us and creating our world. They’re learning science based on the questions they create from all that they see in their environment, and through the weekly visits of naturalists from the Outdoor Discovery Center. They learn the difference between box turtles and wood turtles, play identifying games with tree leaves, experiment with all their senses, or draw what they find around them. They periodically make nature art with middle school buddies based on famous naturalist artists like Andy Goldsworthy, of whatever supplies they find on the forest floor. But mostly they look like they’re playing outside, with lots being registered, stored up, experienced and thought out for later. Then they come home exhausted, often dirty, happy, practice more reading at home with their parents, and head to bed early— really early. But did we also say happy? But mostly they look like they’re playing outside, with lots being registered, stored up, experienced and thought out for later.